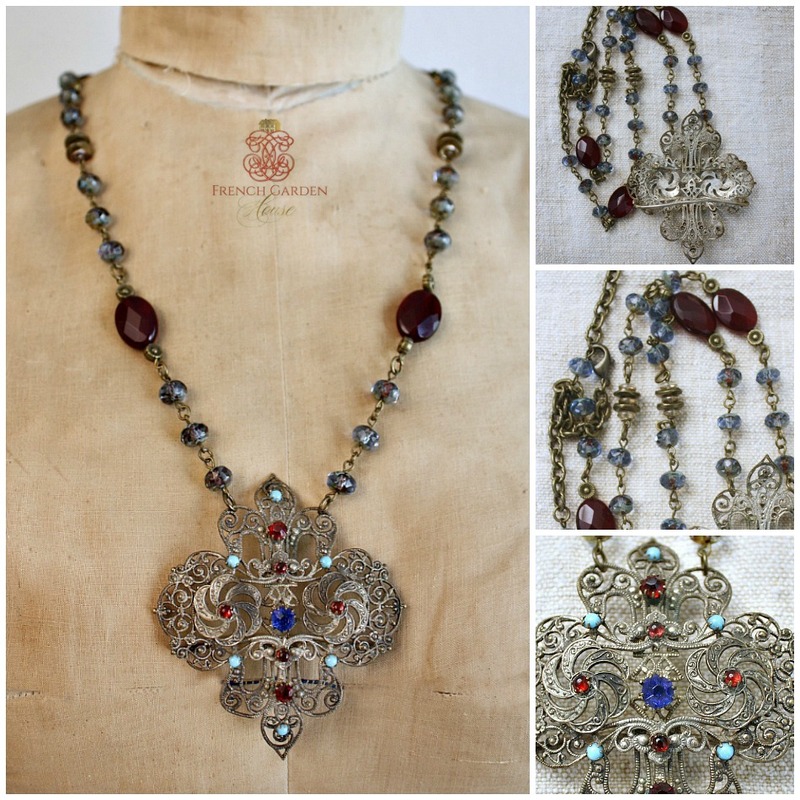 Exquisite statement necklace, with late 1800's ornate Czech belt buckle featuring faceted crystals, glass gems in sapphire blue, ruby red, tourmaline pink and turquoise colors. The buckle has aging. 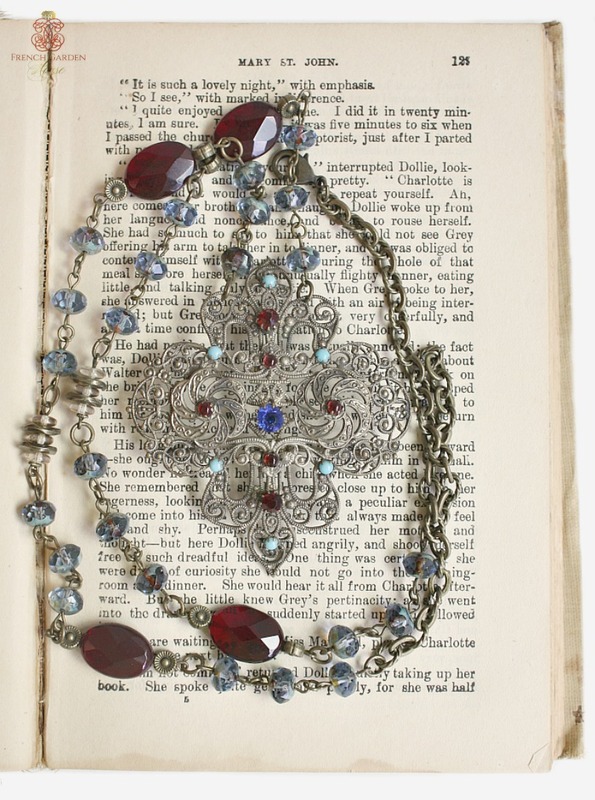 This collectable necklace is stunning, the hand made mixed chain is studded with red faceted beads, brilliant quality light blue hand cut beads and brass elements. 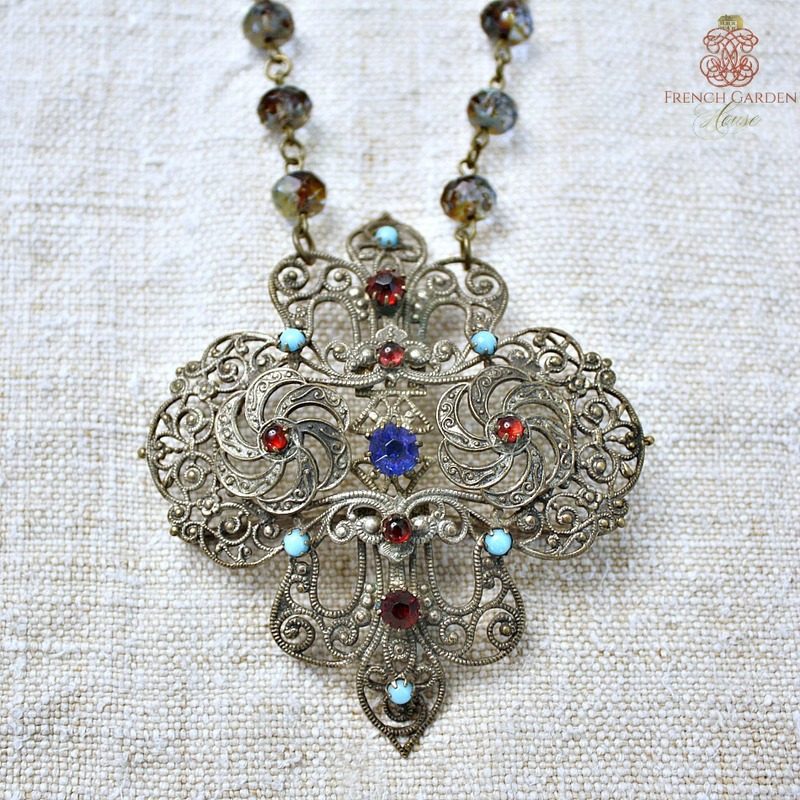 If you love feminine, romantic jewelry with history you will want to add this to your collection. 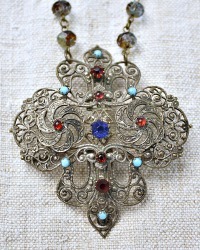 Measures:Chain: 31-1/2"; Pendant:3" x 2-3/4".